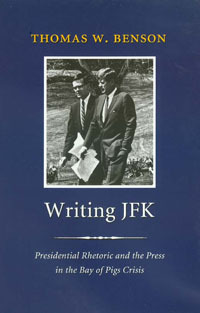 The resulting insight into the relationship among the press, politics, and public policy will appeal to all those interested in political communication, the power of the American president, and the legacy of JFK. THOMAS W. BENSON is the Edwin Erle Sparks Professor of Rhetoric at Pennsylvania State University. He lives in University Park, Pennsylvania.